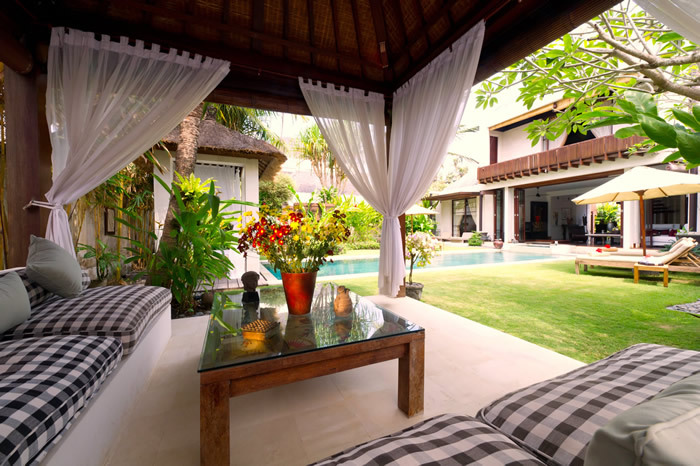 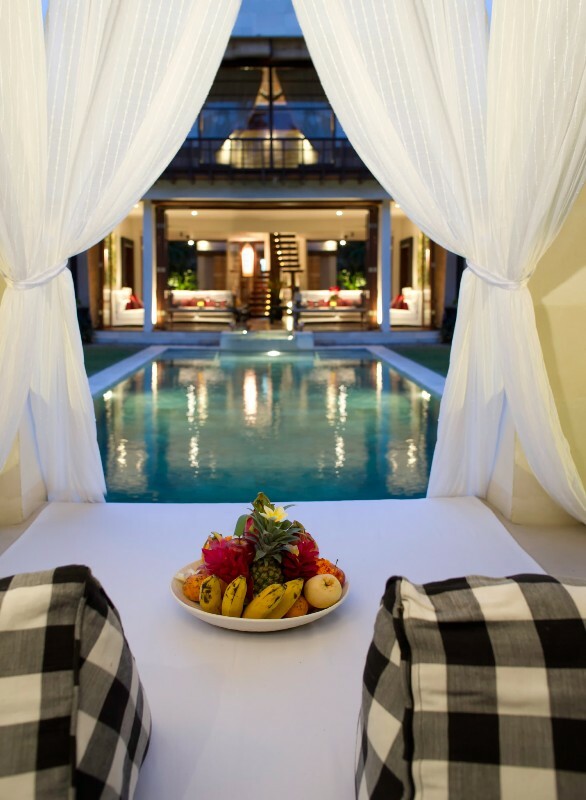 Villa Maya is one of the Majapahit Beach Villas - an exclusive complex of four luxurious villas resting beside a glistening black sand beach, near the traditional village of Ketewel on Bali's south-east coast. 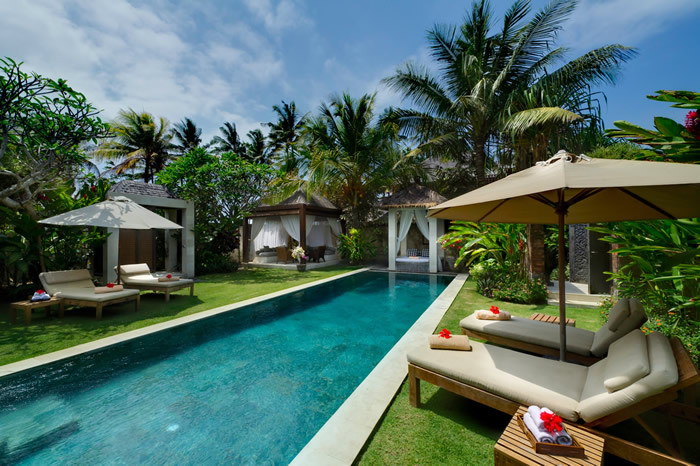 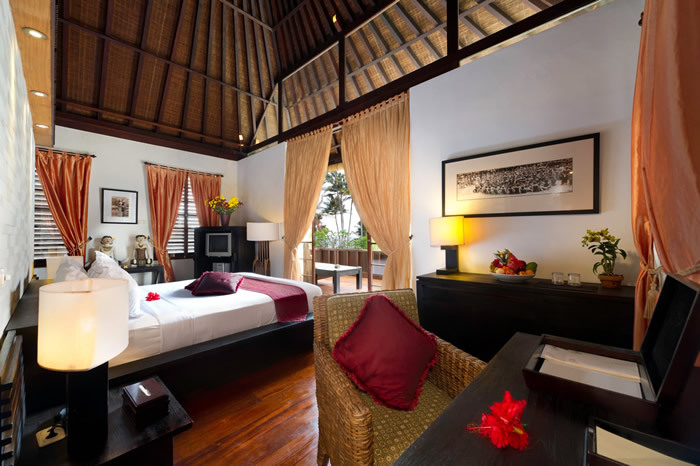 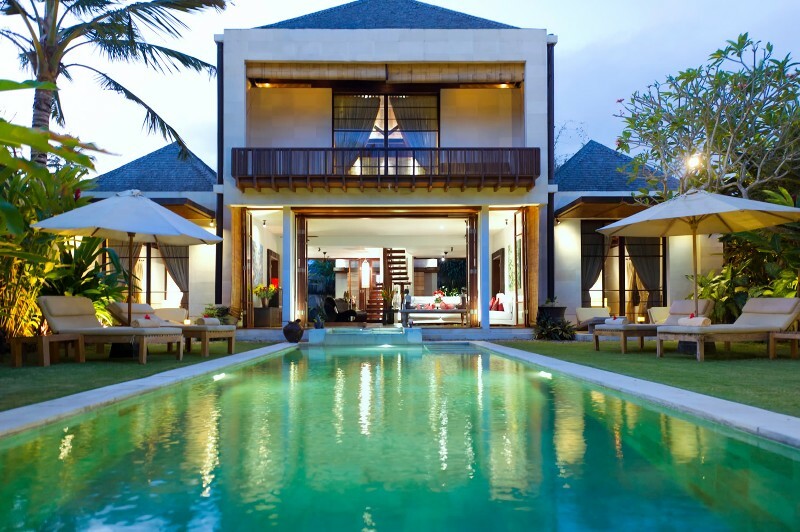 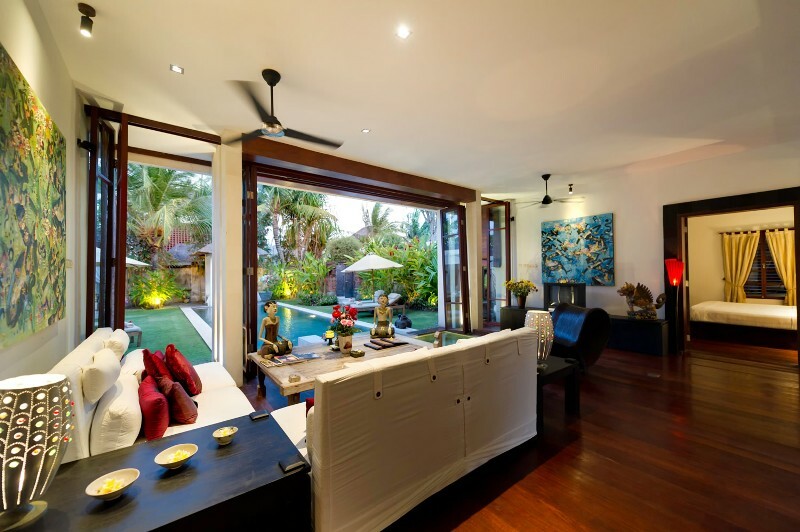 The complex lies just 10 minutes north of Sanur on Bali’s south-east coast. 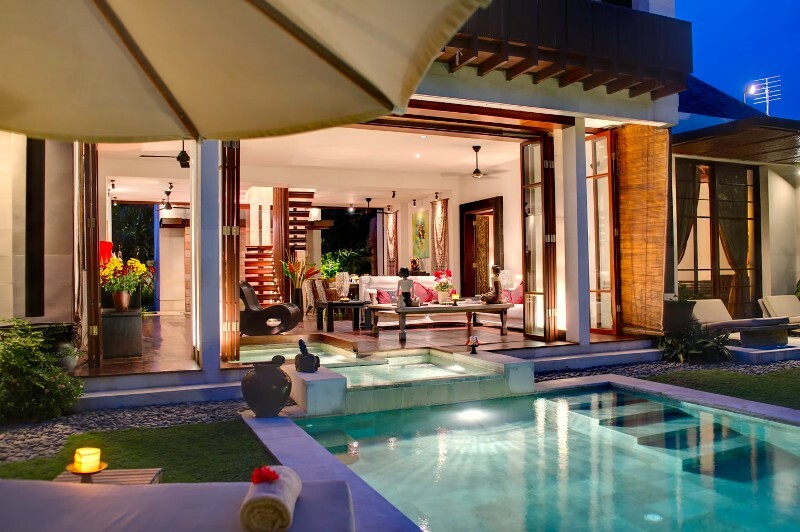 Villa Raj offers a comfy and luxurious accommodation in its three bedrooms- the master suite comprises an en suite bathroom with two separate dressing and washing areas while the other two bedrooms feature a area and en suite semi open air bathroom. 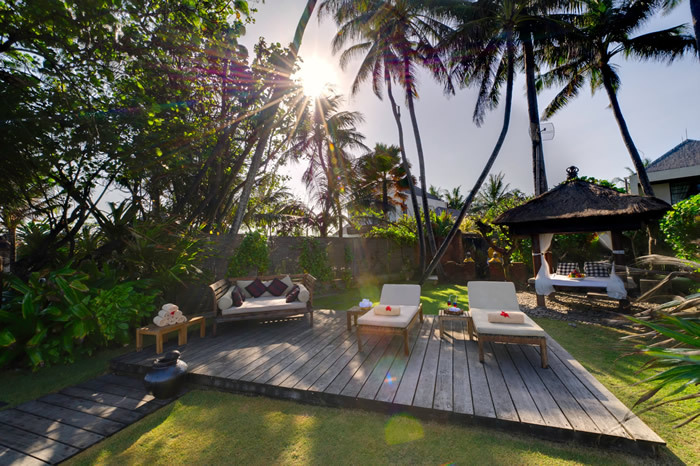 The central living area, ideal for relaxing overlooks a lush walled garden with a swimming pool, massage pavilion and relaxation balé. 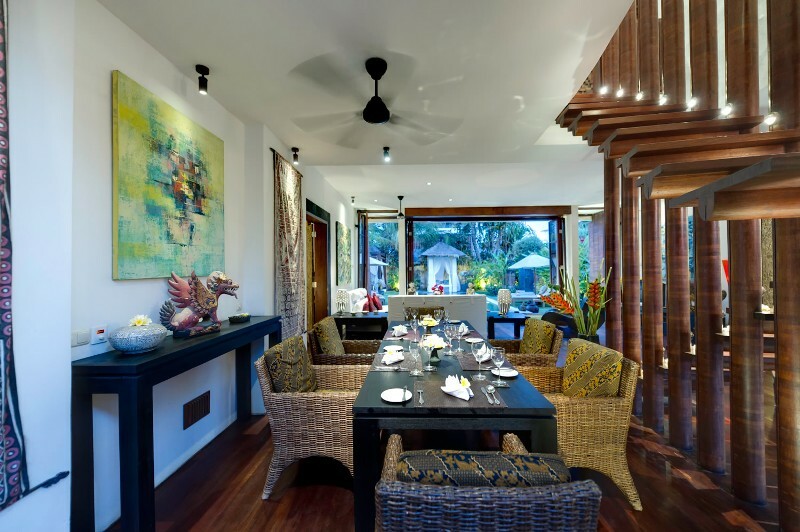 The landscape and architecture is very contemporary created using local materials and incorporating the characteristics of Balinese Hindu philosophy and symbolism. 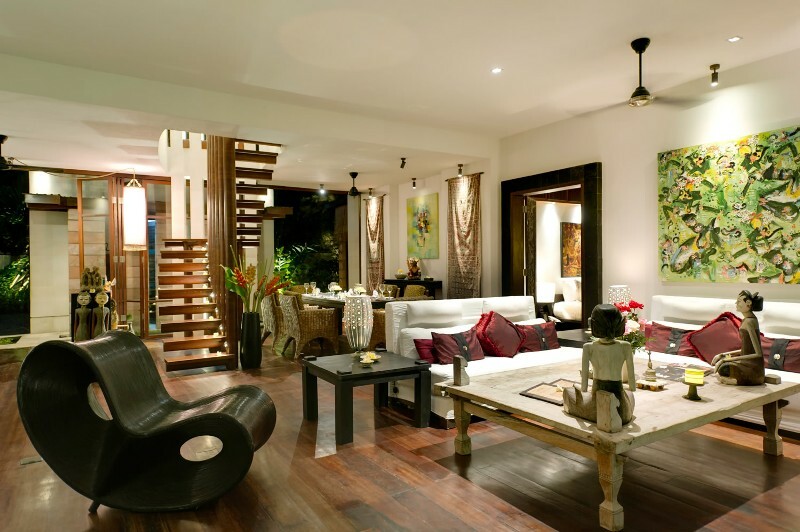 Modern décor, tribal artifacts, antique furnishings and top quality linens define the impressive interior of this villa.